Todays post is going to be really short, but personal. I've always loved and admired my sister a lot. 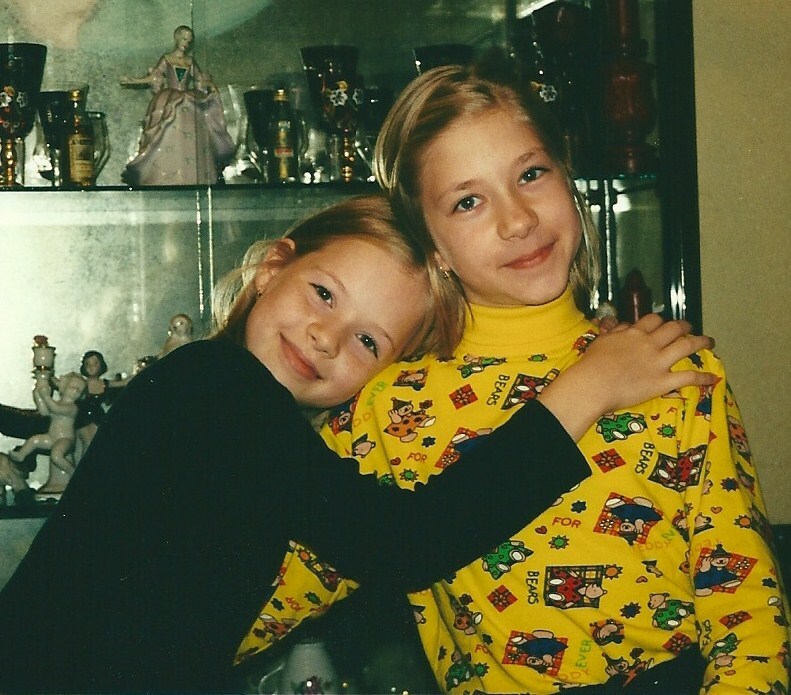 When we were little I loved it so much when we dressed alike, though she hated it. I always wanted to be near her and visited her in class. I was just looking at my pictures and stumbled upon this one, thought you might enjoy a throwback of a much younger me. You two are super adorable and sweet! Such a cute photo!!! Awesome. Such an adorable sweet photo! Thanks for sharing it with us! So cute! Forget dressing alike, you both look so much alike! OMG! you look so beautiful and cute! LOVE IT!!!!!!! Awww very sweet post, I love it. Sisters (and brothers) are a precious gift! Aw this is just the cutest little post ever. Made my heart all warm and fuzzy. and haven't you grown into a beautiful little lady, eh! You guys are so so cute! This is so sweet! I have an older and younger sister. My sisters can get on my nerves like no one else can but I love them so much. You look so cute, I love it! Merry Xmas dear!